The daily existence of our ancestors was governed not only by the times in which they lived, but also by the places they called home. Looking back, we see name after name of hamlet, village, town and city. What were they like when our ancestors lived there, how did they shape their lives and what do those places look like today? 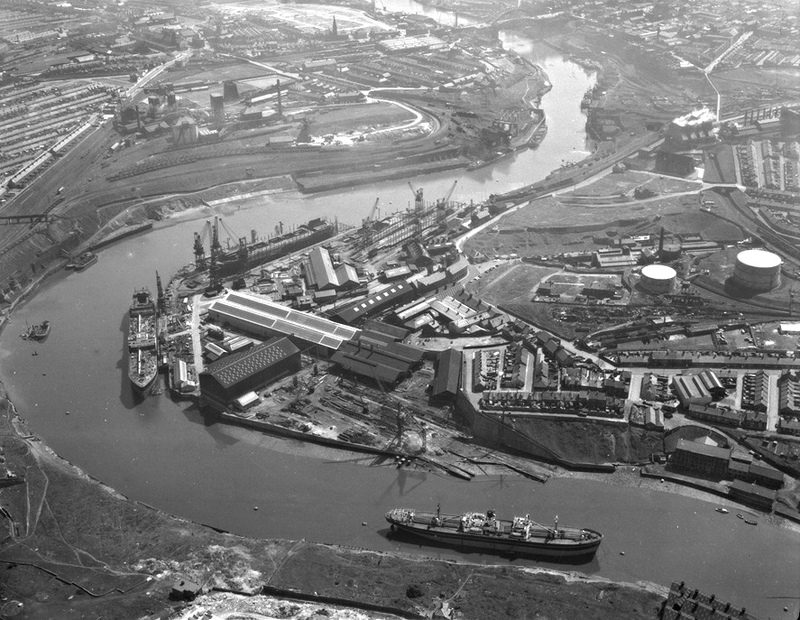 Liverpool's skyline as it is today (above), and the Liverpool waterfront as it was in 1920 (right). 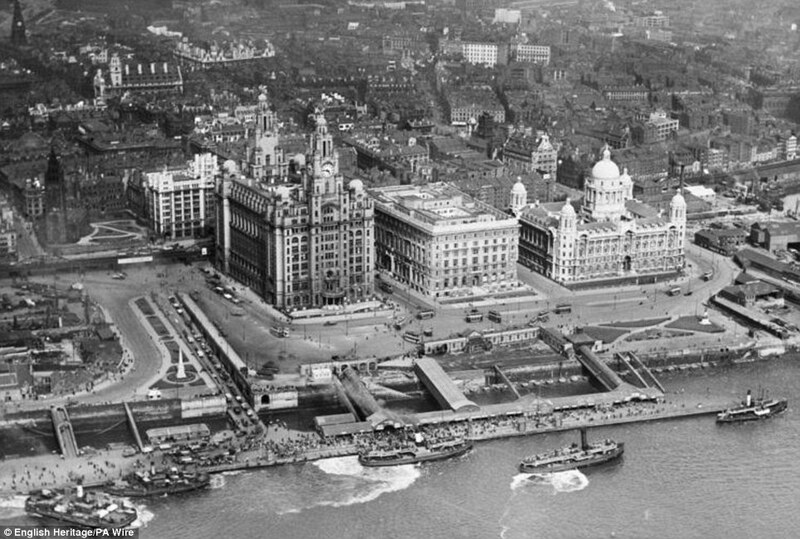 The black and white photograph shows off the three iconic buildings at Liverpool's Pier Head - the distinctive Liver Building, on the left, flanked by the Cunard Building and the office building of the former Mersey Docks and Harbour Board. The buildings are collectively known as "The Three Graces." Many of the families featured on this website are associated with this great port city and its fascinating 800-year history. 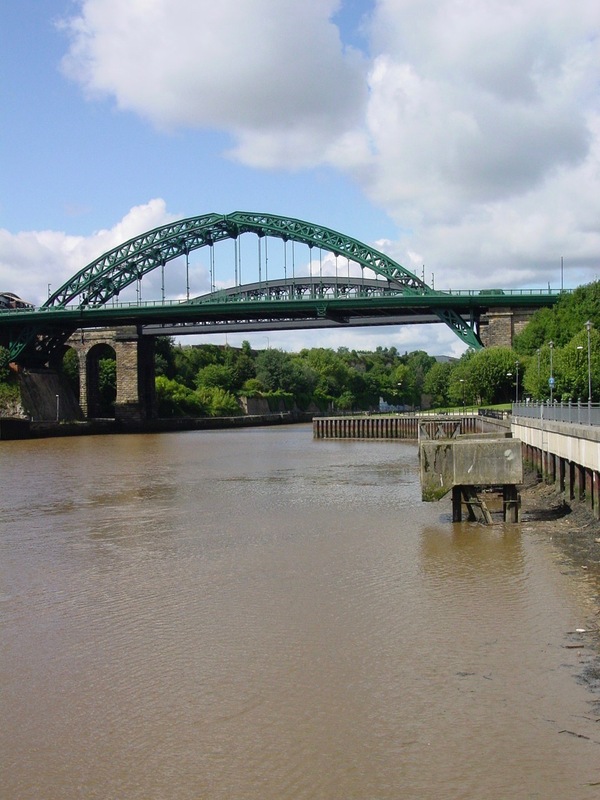 Below, left: On the other side of England from Liverpool, the River Wear, once the site of Sunderland's mighty shipbuilding and coal mining industries, is now more suited to pleasant evening strolls (right), with the former coal loading docks, or staithes, silent and abandoned. Believed to be in the public domain by virtue of date. The city has been transformed twice - once through the Industrial Revolution, and again in the past half-century, with the decline of old industries and the rebirth of new ones. 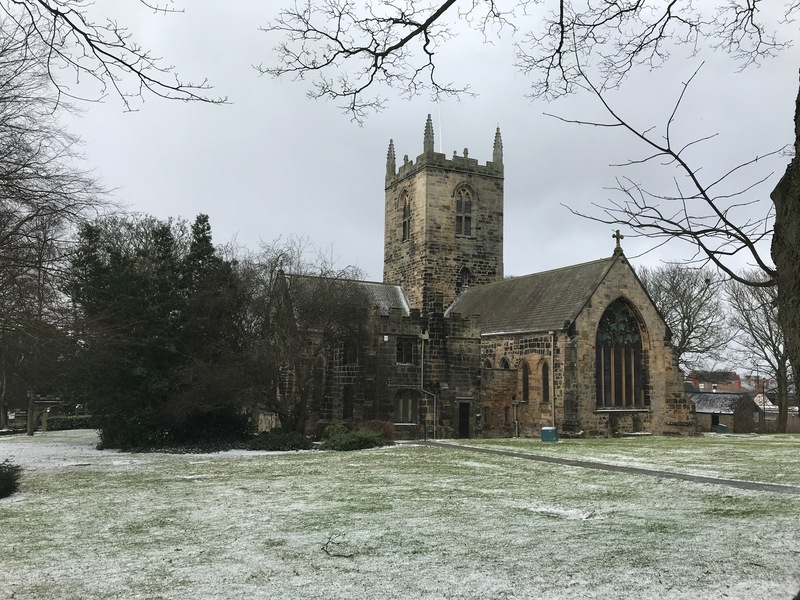 Sunderland and the surrounding towns and villages of County Durham have been the home of Otterson and related families for centuries. WHERE OUR ANCESTORS CALLED HOME was by far the biggest factor in determining how they lived their lives. For the individual farm laborer or coal miner it was always the pursuit of work and the need to put bread on the table that was paramount. If the rural land on which they lived was productive and could support a few animals and crops, it might easily sustain even a large family as long as the weather cooperated. English or Irish families might remain in the same area for hundreds of years, never venturing beyond the local markets in surrounding towns and villages. If the land became unproductive, or if the family had no land of their own, migration to other areas often followed. In the Industrial Revolution in Britain, thousands drifted to the cities in search of more rewarding work. These industrial workers were much less attached to traditional homelands, often moving from mine to mine as new pits opened, or following the fortunes of new industries, from making nails to building ships. Coal miners knew that by working for a mining company, they could be provided with colliery housing and free coal - a huge inducement. The places themselves - whether rural hamlet, booming sea port or dockside slum - saw their own fortunes rise and fall depending on the broader economic and social trends of the nation and world. "The Places" section of this website helps us understand more of these many and varied places around which the lives of our ancestors were entwined. If the index on the left doesn't have a live link yet, it's coming. St. Michael and All Angels Church, Houghton le Spring, County Durham, England. 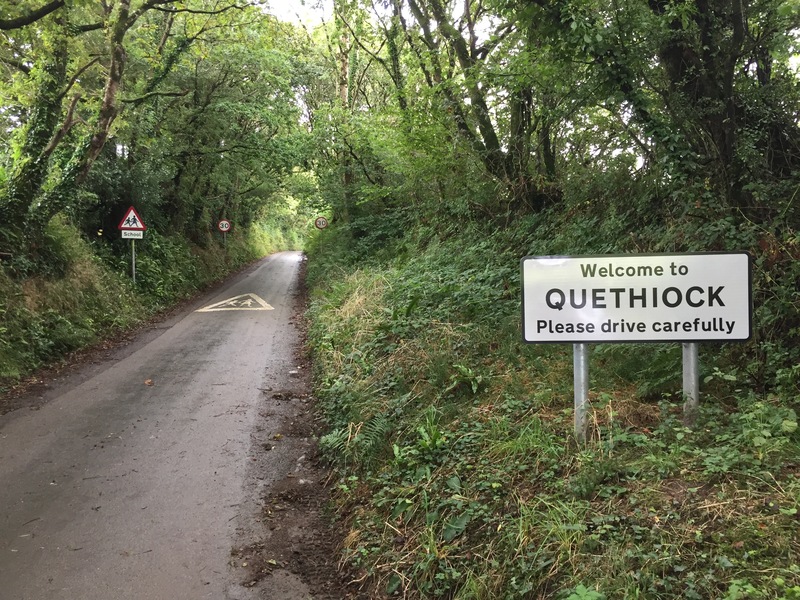 Single-car-wide lane approach approach to Quethiock, Cornwall, England, typical of many small Cornish villages. 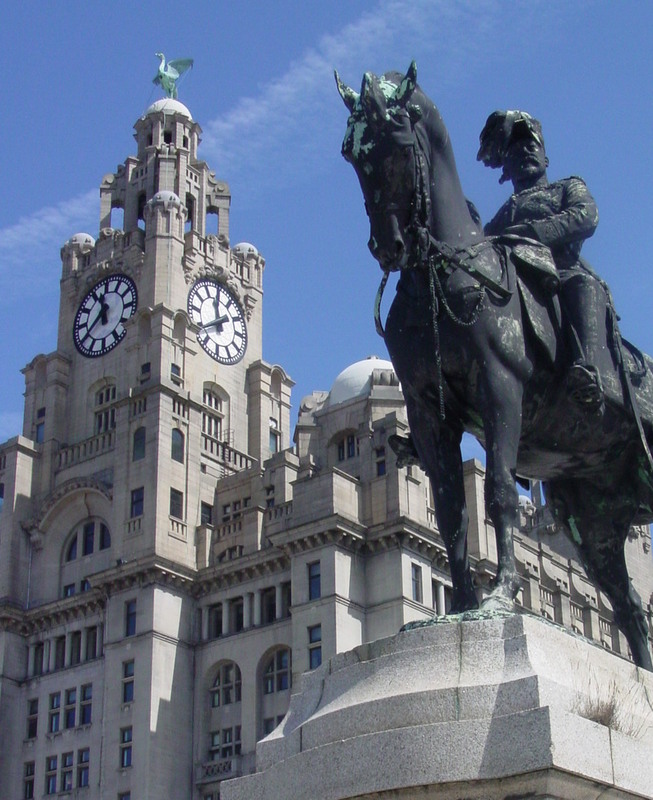 Liver Building at Liverpool waterfront. 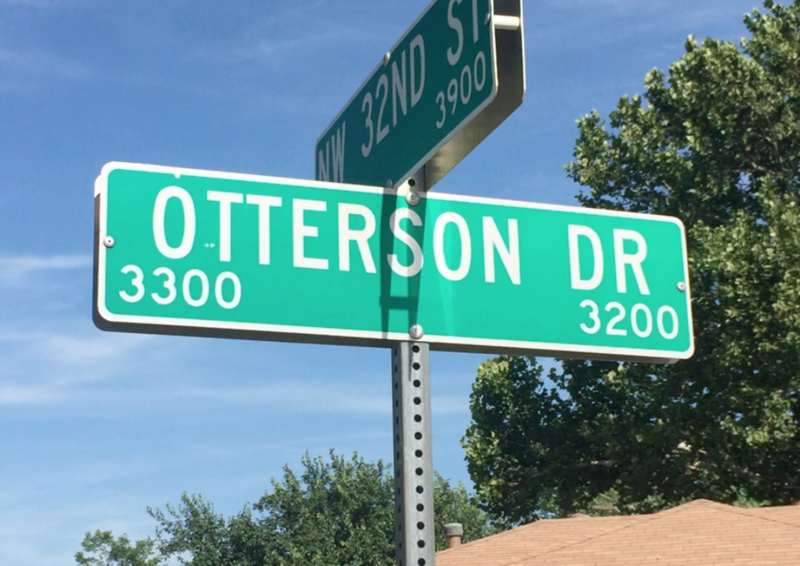 Otterson street sign, Oklahoma City, Oklahoma, United States. The street name has direct connections with the immigrant coal mining family from County Durham in England.